The Cookers, The Veteran Jazz Supergroup that The New York Times calls “a dream team of forward-leaning hard-bop,” returns with its fifth and most exhilarating album to date, The Call of the Wild and Peaceful Heart. After nine years together, The Cookers have evolved from a summit of swinging road warriors to become simply one of the most burning and hardest-hitting bands on the scene. 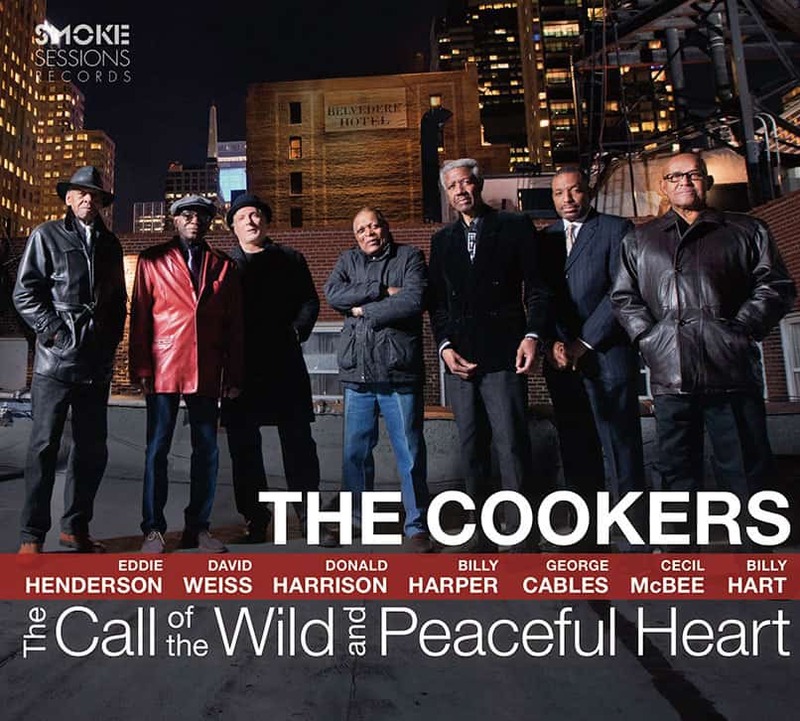 The Call of the Wild and Peaceful Heart marks The Cookers’ debut on Smoke Sessions Records and is the follow up to their critically acclaimed release Time and Time Again, which was the iTunes’ Jazz Album of the Year in 2014. Once again, the core of the band consists of five legendary, long-undersung musicians whose credentials read like a who’s-who of classic-era jazz: tenor saxophonist Billy Harper was a member of groups led by Lee Morgan and Max Roach and served a two-year stint with Art Blakey’s Jazz Messengers; trumpeter Eddie Henderson and drummer Billy Hart were both part of Herbie Hancock’s electrifying Mwandishi ensemble; pianist George Cables played alongside Dexter Gordon and Art Pepper; and bassist Cecil McBee anchored Charles Lloyd’s famed 1960s quartet with Keith Jarrett and Jack DeJohnette. They’re joined by torchbearers Weiss and, in his second outing with the band, alto saxophonist Donald Harrison.